Nathaniel John Cartmell was born in Uniontown, Kentucky, on January 13, 1883. He entered the University of Pennsylvania in 1903; after his freshman year, he took a year off before returning in the fall of 1904 for another three years. 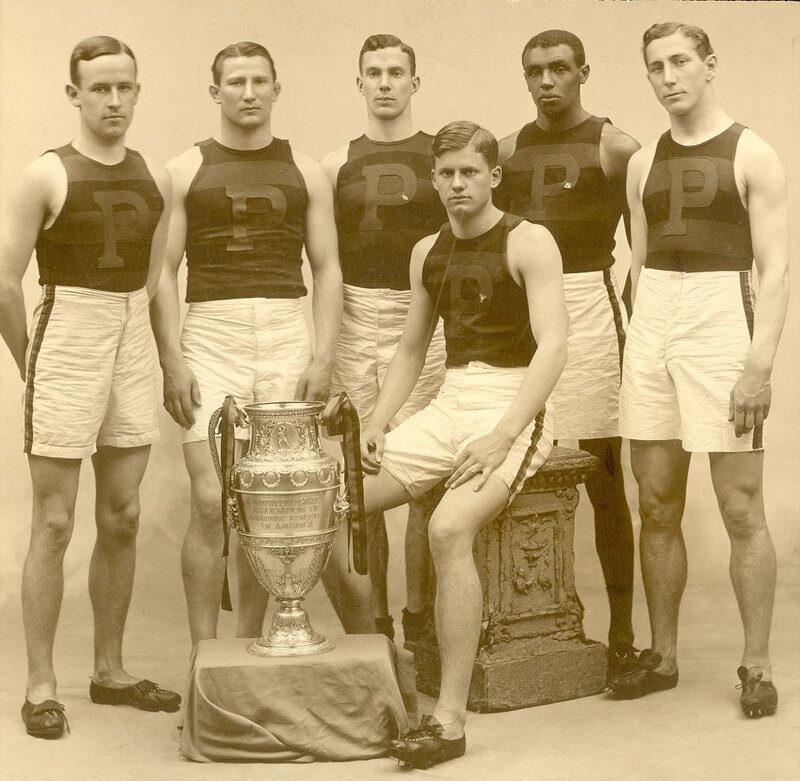 At Penn, Cartmell was a member of the Book and Jug Society and the varsity track team (for the years 1904, 1906, 1907 and 1908). His talent for sprinting earned him national attention when he won both the 100 and 200 yard intercollegiate championships twice during his years as a Penn student. As a member of the U.S. Olympic track team, he won two silver medals in those events at the 1904 Olympics. At the 1908 Games he helped his country win the gold medal in the sprint medley; he also won a bronze medal in the 200 meter run and finished fourth in the 100 meter event. After the 1908 Olympics, Cartmell became somewhat of a celebrity, traveling around Europe and winning races. During this time he became champion of the English and Irish 220-yard event as well as of the Irish 100-yard race. His most notable victory came against an Englishman by the name of Postle who had been the undefeated professional champion of sprinting. Shortly after these prestigious victories he declared himself to be a professional. As a professional, he defeated some of the most revered sprinters from around the world. After retiring from professional sprinting in 1910, Cartmell took up what would be his lifelong career of coaching. He received his first track coaching job at the University of North Carolina. From there he would go on to coach, usually track but also basketball, at West Virginia University, Princeton, Fordham, Manhattan College, and LaSalle Military Academy. He also coached track and field and cross country at Penn State from 1923 to 1933 before ending his career at the United States Military Academy in 1956. Recognized as one of the most respected athletes and coaches of his era, Nathaniel John Cartmell died in his home in New York City on August 23, 1967.